Hailing from Birmingham, Broadcast, formed of Trish Keenan (vocals), Roj Stevens (keyboards), James Cargill (bass), Tim Felton (guitar) and Steve Perkins (drums), first appeared on Wurlitzer Jukebox back in 1996 with their first EP, Accidentals. Within a year, they had released two more EPs on Duophonic, collected on Work & Non Work, released on Warp, in 1997. It would take nearly three years for Echo’s Answer, their next EP, to be released, shortly followed by the band’s first album, The Noise Made By People, and three more EPs. This profusion of EPs has shown that, far from being a simple tool to promote their albums, they are actually a platform for the band to explore and take their sound to uneasy territories. Broadcast’s intimate experimental pop is fuelled with references to the work of the seminal BBC Radiophonic Workshop, Ennio Morricone or John Barry. Often associated with Stereolab in the early days, the sound of the band has developed considerably since. Lead singer Trish Keenan died of pneumonia on 14 January 2011 at the age of 42. Some of the best music ever made. Absolutely gorgeous stuff. "I'll always wait, it's never too late to color me in. If you want to color me in." Haunting and joyous, this band simply does not play out like so many others. Got my bundle in the mail yesterday, represses sound fantastic. so excited to finally be able to own and play these. Just bought the vinyl bundle on bleep,can't wait to hear this bands material pre-2009 (all I've heard up till now is the joint lp with the focus group and 'berberian sound studio'). thanks warp for repressing these seminal albums for all of us! All albums will be repressed on march 2015! a very unique band. they will be missed. hopefully their material will get re-released on vinyl, as the prices for the lps are horrendous. 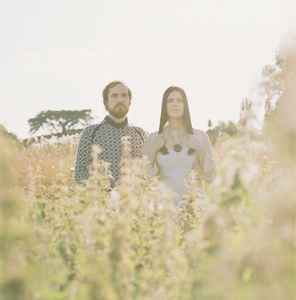 R.I.P Trish Keenan! Your voice will play on.